Main Door Feng shui in Singapore Lately some of the new DBSS , BTO flats that i audited, the Main Door is at the direct opposite end with the Kitchen Door 门冲煞 see illustration circle in red. 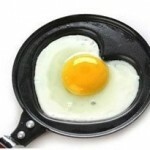 This is indeed…. Home/Office Feng Shui Destiny 宅命 – Positive or Negative “DESTINY 宅命” of a house or office is like a person’s Birth Profile or DNA. Through Birth profiling we are able to understand one’s potential, strengths, weakness, talent, traits, personality, and luck…. Singapore Kitchen Feng shui Kitchen Door should not be directly opposite the Main Door Kitchen door should not be located directly opposite (not even partially) to the Main Door or Toilet door or Bedroom door 廚房 风水大忌 this is one of the…. Sell Singapore house faster the feng shui way If you have been trying to sell your house over the last 6 months with no luck, you might want to try this method. In feng shui there is something that can…. Day of shift in 新屋 入伙 traditional feng shui – Chinese custom There is no special procedure BUT the most important step is to choose an auspicious day and time to reach your new home and sleep overnight on said…. Feng shui water feature Water feature if place correctly is one of the fastest way to attract wealth but not the only method. 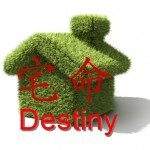 Feng shui activation of wealth involves a complete “Home Destiny 宅命 assessment” and not just simply creating…. Feng Shui wealth sector To locate your house wealth sector is not difficult but to find one that is of maximum impact is the test of craftsmanship of the feng shui master. Feng Shui Wealth activation takes 2 simple steps,…. Living Hall feng shui Part of Feng shui principle is to balance the “yin and yang” energies of your house. Overly “yin” or feminine energies affects your health and invites unwanted guests. Yin energies are common in low floors, dark color scheme houses,…. All of us spend about one third of our life sleeping. Hence the placement of the bed must be in a position where it is compatible with your Birth Profile lucky elements, home destiny, gua ming, Xuan Kong Feng Shui flying….